There have been some exciting new mobile gaming releases from Betsoft Gaming and All Slots Casino. Betsoft has announced the release of Roulette and Blackjack for mobile. 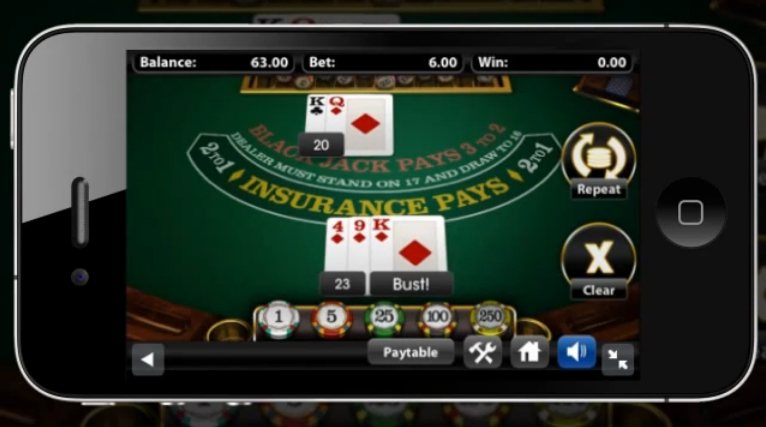 Betsoft’s Head of Product Development, Anthony Locke, said that the “mobile versions of Roulette and Blackjack are 100% compatible with the new iPhone 5 and iOS 6”. Betsoft will also be releasing mobile versions of their popular games such as The Slotfather, Three Wishes and 7th Heaven over the coming weeks. All Slots Casino has also just released a new HD mobile gambling app. The App is available on all major mobile platforms, iPhone, iPad and Android. The games all run fast and smoothly and feature truly stunning graphics and excellent sound effects. It is possible to play for real money in countries where the law allows it, such as the UK. The app comes with a full range of games such as roulette, video poker, table games and a good selection of mobile slots. The slots include all the popular titles such as Tomb Raider and Mermaid Millions as well as the three newest additions to the All Slots collection, Spring Break, Ladies Nite and Mega Moolah which can turn you into an instant millionaire thanks to its huge progressive jackpot. Will Marvel Help Disney-Star Wars Casino Slots Go Online?